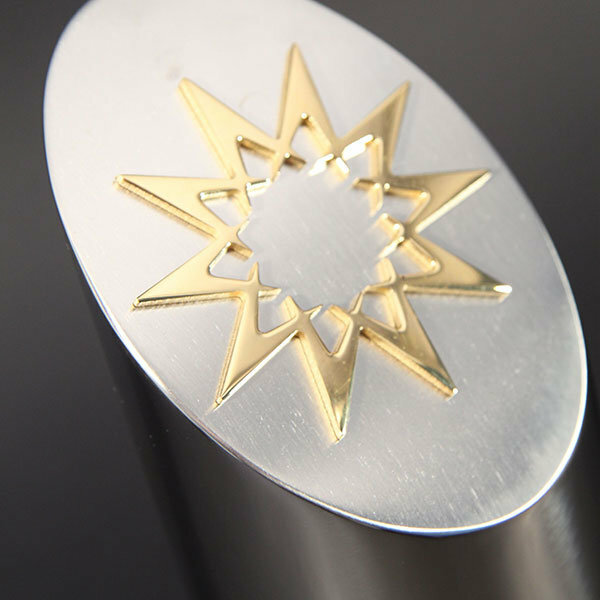 Stunning polished nickel plated aluminium cylinder with contrasting brushed section. 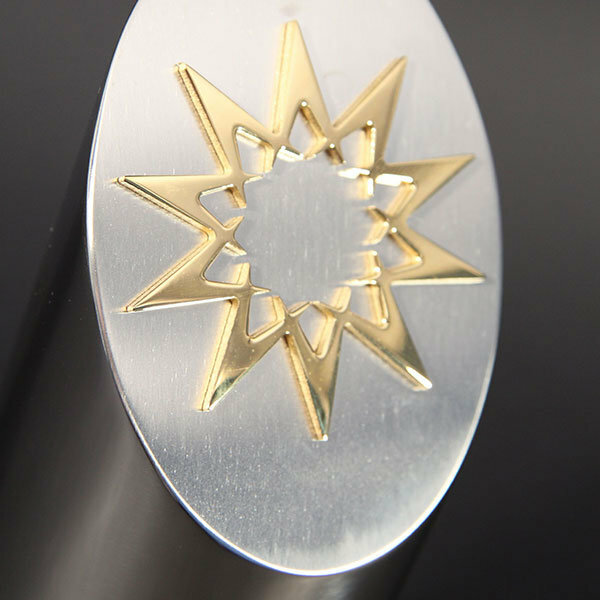 Intricately pierced gold starburst fixed to the angled top. 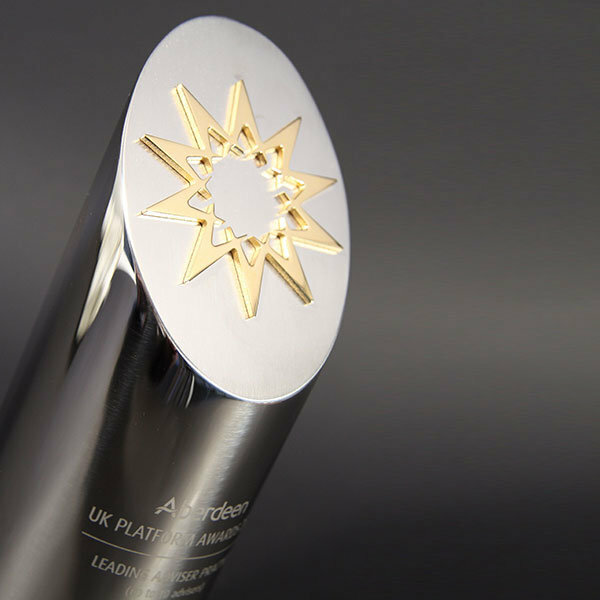 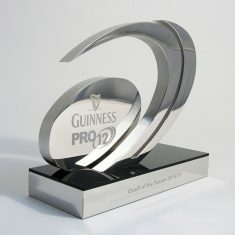 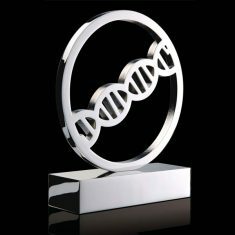 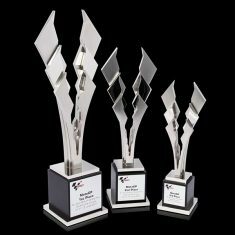 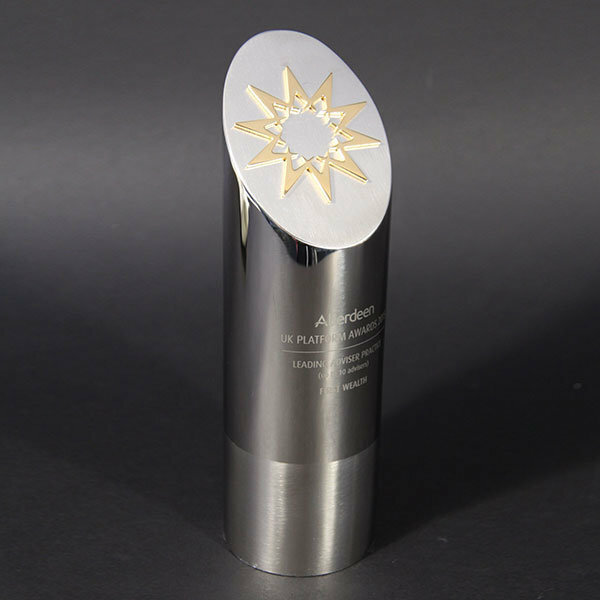 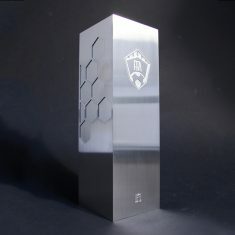 Each award is personalised by rotary engraving around the cylinder.